Lupus and rosacea rash may look similar, but they are, in fact, separate conditions that require different treatments. People often think that rosacea is a symptom of lupus. There are many symptoms associated with the autoimmune disease, and a rash on the face is one of them. In lupus, the rash is actually called a malar rash. A malar rash appears in a butterfly pattern across the nose and cheeks. People with lupus rash or with rosacea experience red patches and sensitivity to sunlight. Can lupus rash be mistaken for rosacea? It can, if a person doesn’t understand the subtle differences. For example, with rosacea, the rash does not have a butterfly configuration. In the case of lupus, the butterfly or malar rash can appear on other parts of the body, aside from the face. For instance, it could appear on the arms, legs, or trunk. It may be the first sign of lupus. It can be mild, like a light blush, or it can be severe and scaly. It can last a few weeks or several months. Dermatologists and rheumatologists believe the cause is a malfunctioning in the immune system, which causes the body to attack healthy skin tissues. Rosacea is like having a blush or sunburn that just won’t go away. It tends to get aggravated by cleansers, cosmetics, and certain moisturizers. It is the redness that causes the confusion between the two conditions. It is not unusual to have lupus rash mistaken for rosacea, or vice versa. It is believed that rosacea is under-diagnosed, that many people have the skin problem but don’t realize it or have such a mild case that they never bother to report it to their doctors. The National Rosacea Society (NRS) estimates that 16 million Americans suffer from rosacea and that millions more are in temporary remission. Rosacea is a condition that affects more fair-skinned, Caucasian people. However, people of Asian and African origin have been known to get rosacea, too. Since some of the signs and symptoms of lupus and rosacea are similar, dermatologists are used to the question: Is rosacea a sign of lupus? The answer is “no”. But can you have rosacea and lupus at the same time? Yes, you can have the two separate conditions, but it does not mean this will always be the case. Some people with lupus will get a malar rash, but never experience a rosacea rash. 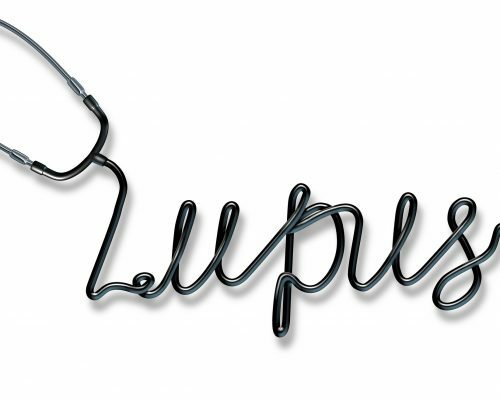 Some people with lupus will never get either rash. A comparison of lupus and rosacea symptoms can paint a clearer picture of just how these two conditions are different. For example, rosacea can include eye symptoms, such as inflammation, watery eyes, and bloodshot eyes, but lupus does not. Understanding the signs and symptoms of both lupus and rosacea may help you deal with the wondering… how do I know if I have rosacea or lupus? Lupus is a complex disease that attacks the cells, tissues, and organs of the body. No one can say for certain what causes the autoimmune disease, which can impact organs and skin, but some theories include genetics and environmental pollutants. Medical data shows that about 40 percent of lupus sufferers get a butterfly rash. We also know that bloom syndrome – a condition that causes abnormalities in chromosomal arrangement in the body – can lead to rashes, including the butterfly or malar rash. People who suffer from Lyme disease, which is caused by ticks, are also known to get malar rash. Additionally, the connective tissue disorder dermatomyositis is considered one of the root causes of malar rash. If you have an extreme sensitivity to sunlight but are otherwise healthy, you can get a butterfly-patterned rash. Much like lupus, there is no definitive cause for rosacea, what we do know is that certain factors determine who is more prone to the skin condition. Those who have abnormalities in the blood vessels on the face are more likely to get rosacea, and there is a much higher percentage of fair-skinned people that develop rosacea, compared to other people. People with rosacea tend to have a higher number of microscopic mites living on their skin. Scientists can’t tell whether the mites cause the rosacea or the rosacea leads to the overpopulation of the mites. Lupus and rosacea are both becoming more known. In fact, you likely have come across someone who has one of these conditions or, perhaps, you have signs and symptoms that mimic lupus or rosacea. Many people are curious about what might put them at risk of getting either of these conditions. Lupus is more common in women, so right away you know that if you are a female your risk is higher. Race is also a factor. For some reason, lupus is more common in African Americans, Hispanics, and Asians. Lupus is not without complications. Below we list some of the possible problems associated with this disease. As far as rosacea goes, anyone can develop it, but more women are at risk, especially those who have fair skin and are between the ages of 30 and 60. Having a family history of rosacea is also a risk factor. In severe cases of rosacea, the oil glands in a person’s nose and cheeks are at risk of becoming enlarged. As a result, a buildup of tissue can occur around the nose. This is called rhinophyma. It looks and feels uncomfortable. It is more common in men and tends to develop over many years. For many years, physicians have turned to blood tests to try to determine if a person has lupus or rosacea. Blood tests look for elevated levels of antinuclear antibodies (ANAs). These are proteins produced by the immune system that target the center of normal cells. People with lupus tend to have high levels of ANAs in their blood, so this was a way to tell the difference between the two conditions. However, a recent study conducted in Poland showed that over 50 percent of patients with rosacea had significantly increased levels of ANA in their blood. Researchers suggest that ANA blood tests should not be the single assessment method to rely upon to differentiate between lupus and rosacea. Treatment for lupus can involve nonsteroidal anti-inflammatory drugs (NSAIDs), antimalarial drugs, corticosteroids, or immunosupressants. As symptoms flare and subside, the doctor generally adjusts treatment. Each patient is different, and regular follow-up with a doctor is crucial. Rosacea diagnosis is carried out largely through an analysis of symptoms and visual examination of the skin. Proper treatment could include mild, high quality moisturizers or gels, often in the form of a prescription. Doctors will also encourage rosacea patients to always use a broad-spectrum sunscreen with SPF 30 all year around. If these measures don’t help, oral antibiotics can be prescribed, but patients have to understand that these medications take time to do their work. In some cases, months are required to see significant results. Neither lupus malar rash nor rosacea rash are pleasant, but as many people who have had to deal with either condition will tell you, they are manageable if you have a proper diagnosis, see your doctor regularly, and follow treatment guidelines. If you are ever wondering – do I have rosacea or lupus? – a quick review of the signs and symptoms outlined here, as well as keeping a record of your own symptoms, can equip you with enough information to start a good conversation with your physician.